When you email us for technical support, please include the following information so that our support team can figure out your trouble easier and sooner. Please launch M4VGear, click menu bar "M4VGear > About M4VGear", in the popup box, you can get the version number of the program. M4VGear has two log files: m4vgear.log & movie_convert.log. Both are very important for our R&D department to find out the cause. 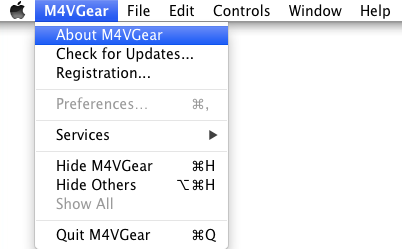 Please hold down the "Option" button on your keyboard to launch the application M4VGear. Please to hold down the key till the program fully launched the interface shows up. Then there will be a m4vgear.log generated automatically on the desktop. Please launch the program, click menu bar "File > Show Log in Finder", in the popup box, you can find movie_convert.log file. Please send us both the m4vgear.log and movie_convert.log for analysis. 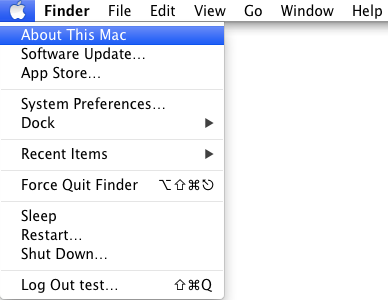 Please click Apple Icon, please choose "About This Mac" in the drop down list. 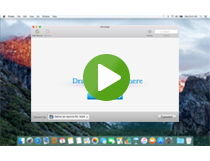 In the popup box, you'll get the info of your Mac OS. 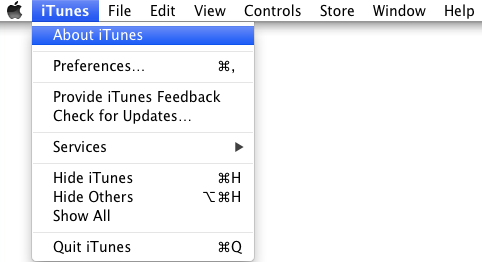 Please launch iTunes, click menu bar "iTunes > About iTunes", in the popup box, you'll get the info of your iTunes. Please send us both log files above as well as other details, we will submit to our R&D department and give feedback ASAP.